New day, new opportunities… in World Campus – Japan. 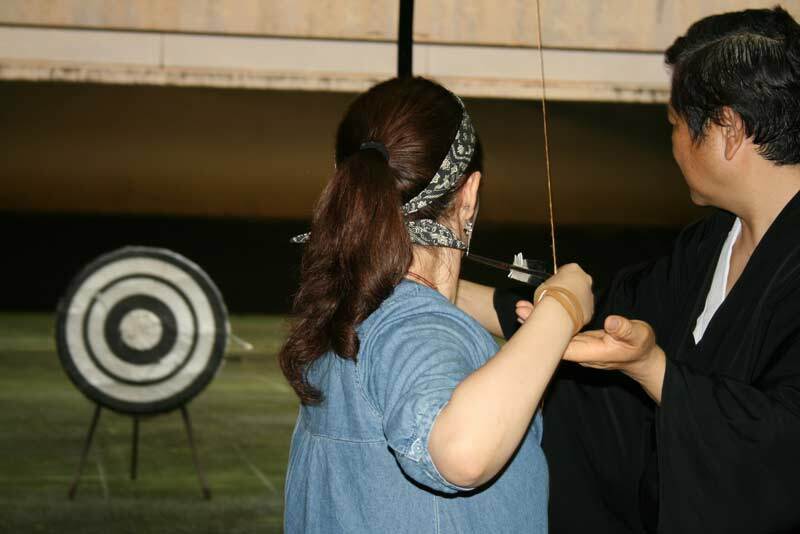 This time we went to the Suizenji Gym, to learn about Kyudo (Japanese Archery) Our Sensei has been teaching Kyudo for many years, so, we were about to learn from the best. There is something he said that was very surprising to all of us; 90% of the points you can earn in a competition is based on your PRE shooting performance. Only 10% has to do with hitting the target. So literally, you could hit 100% of your targets and loose the competition if you don’t follow the PRE performance rules and procedures. Once we were done with the theory we went on to try out our Kyudo abilities. One by one we were facing our own fear to let go of the string that holds the arrow while we pulled as hard as we could. I have to say, all this tension is happening very close to your right eye, you could feel the wind after letting it go. In World Campus – Japan, as we’ve said in previous posts, we have amazing opportunities to learn “first hand” from the protagonists of the stories.